Blaine's Puzzle Blog: NPR Sunday Puzzle (July 3, 2016): Shall we play a game? NPR Sunday Puzzle (July 3, 2016): Shall we play a game? Q: Take the word FALSE and divide it between the L and the S (e.g. FAL and SE). FAL is the start of the word FALL, and SE is the end of the word RISE. And, of course, "fall" and "rise" are opposites. Do the same thing for the word SHALL. Divide it into two parts, so that the start of it starts one word and the end of it ends another word — and those two words are opposites. The dividing point is for you to discover. There are three different solutions and you are to find all three. I should have added, four answers using all five letters of "shall." I have several answers using only the first & last 2 letters of "shall." For one of these see below. I now have SEVEN legitimate answers, one of them is a repeated word with 2 different antonyms and one contains an abbreviation. I now have TEN answers using all 5 letters. 5. SHARP (distinct)>>>OVERALL (general). A sharp impression, an overall impression. Question I posed at the end of last week's Blog: Is it one dividing point with multiple solutions, or possible multiple dividing points with one or more solutions each? The dividing points are not the same for all the answers. If that's true shouldn't the puzzle read "The dividing points are for you to discover?" I found four answers, too. Two of them use the same dividing point but involve different parts of speech. I couldn't listen this morning. Did the on air version say who came up with this puzzle? The master or someone else? I might have five answers. Not sure if contractions are allowed. Also, not sure if the opposite of SHABBY is SWELL. Well, that definitely makes more sense. But SHRINK and SWELL don't use the A in SHALL. I think all 5 letters must be used. And, of course, we're not supposed to be giving away legitimate answers. I agree. Since "shrink" & "swell" don't use all 5 letters of "shall," it is not, therefore, a legitimate answer and as such, not a "giveaway." I will "give away" another of my non-a answers: SHOVE>>>PULL. If you've solved the puzzle with opposites, now try to solve it using members of a category. That is, the second word is a member of the first word's category. (For example CLANS would be CLOTHING and JEANS.) I can think of at least four such associations using our word, SHALL. So far, I have five out the three answers. Maybe I should try to get at least six or seven of those three before I submit my answer. I have five different answers, and one of them is roughly a kin to an unlikely PEAR, peace and war. I have an animal-based answer that I'm convinced is legit but my wife says is not valid. Anyone care to weigh in on the pros and cons of this solution? 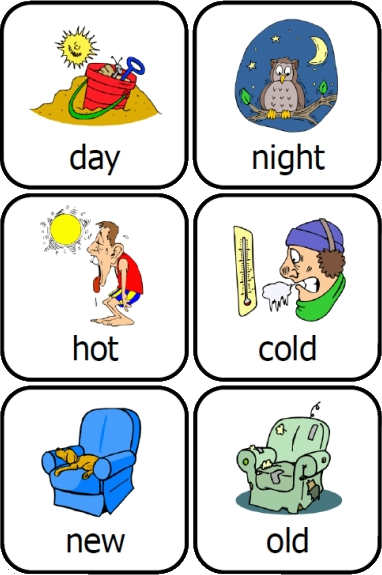 I found several sets of antonyms, three of which use the same dividing point. I suspect "shoponline / shopatthemall" is not an intended answer. Also, I don't think you are allowed to divide "shall" at the end and use "shallow / deep". In additional to the four answers I mentioned in my post this morning I have found two additional word pairs that fill the bill. As with two of the original four, they share the same dividing point but involve different parts of speech. I did not send these two in since I had already submitted my four answers earlier. But I’ll share them with you on Thursday. I have more than enough answers that qualify. As is sadly too common, the PM spent little time exploring possible areas of ambiguity and confusion in this challenge. Most glaring is the "point" vs "points" phrasing. But I have a problem with whose rules to violate. I may give away an answer and cross Blaine, but I am not sure whether the answer follows what what Will wants. So. Every one knows a shack is a poor hovel, while many great English manor homes are called halls. Are there too many "a's" (as opposed to too few) and where does "shall" get divided? At least if you have already sent in your only allowed answer, this won't cause you problems. There are so many likely solutions, one more won't tilt the world too far. MJ: I had same issue with one of my answers. The parameters were really not set up. Just sent in my answers (5). Interested to see what the PM says next Sunday re the rules. Can we agree that there are two sets of answer antonyms that everybody will get, and then a set of answer antonyms that I expect will vary with everybody? Now the two sets that I believe everybody will get, I've figured out that with one of them, if you take the unused beginning of the word that shares its ending with SHALL, and add on the unused ending of the word that shares its beginning with SHALL, you get a legitimate word to which you can add three letters to the end to get another legitimate word. However, with the other set of antonyms, if you take the unused beginning of the word that shares its ending with SHALL, and add on the unused ending of the word that shares its beginning with SHALL, you do NOT get a legitimate word. However, if you spell the result backwards, then add 4 letters (the first and last of which are the same letter), you now not only have a legitimate word, it's actually found in the Declaration of Independence! In the first paragraph above, "sets" would have been better than "a set". By the dawn's early light, I see nothing wrong and very much right with your excellent analysis of the situation. I found the word in the Declaration of Independence. Great observations. Fun to use for answer verification. I sent in 4 with the same dividing point. I have 4 answers splitting shall in 4 different ways. I'm sure there are many more. Yeah, and it fell on Independence Day this year too! And here I thought all the fireworks were meant to provide a little extra light because we're at Aphelion. I don't know why we always have to have the fireworks in the evening when it's dark and hard to see. Why don't we let the corporations decide when it should be? They're people too, you know. Several years ago I was at the supermarket checking out and mentioned to the young woman (girl) that the Canadians were so unpatriotic they didn't even celebrate the Fourth of July. She replied, "I didn't know that." I was not at all surprised. Another time I was standing at the very top of a man made knoll at Gasworks Park at the North end of Lake Union waiting for the fireworks to begin in a few minutes. I was crammed in with tens of thousands of other spectators waiting for the spectacle to begin at about 10:15 PM when I heard one of two or three young woman standing right behind me ask her friend(s) when the fireworks would begin on Elliot Bay, our other major fireworks display back then, and I had the inspiration to turn my head and tell them the Elliot Bay fireworks were going to be held this year on Independence Day. She asked when that was. Again I was not surprised. So now we're just being sucked back in? Yup, facing a fiery death on January 4. It is very American to celebrate independence by blowing things up. Ever notice that the patriots at Fox never have any special programming about the meaning of the Fourth (or Veteran's or Memorial Day for that matter) while the America-hating liberals at PBS always have programs relevant to those holidays? For an interesting treatment of the end-of-the-world genre, try Ben Winters' The Last Policeman trilogy. I think you forgot the link, SDB. Were you thinking of this? This op-ed was also interesting. jan, NO, that is the link. I highlighted it and pasted it into the bar and it opened just like your properly done link, that I don't seem to know how to do here. It never comes up green when I paste it on the blog. But weren't those "Two British officials, Guy Carleton and Guy Johnson," just a couple of Guys having fun? Natasha said, "I searched the title of SDB link and found it easily." Yes, so did I. But I thought that SDB had meant to embed HTML to make a clickable link, as I did. This is true, but just to clarify, SDB is not the Missing Link. I think sdb just doesn't do HTML. Can I tolerate that without respecting it? There was just not an HTML there, and I would have added it, but I tried it without and it worked just the same. Sorry for the puzzle, guys. SDB: FYI here are instructions for the magic of making a clickable link, that come from http://smallbusiness.chron.com/leave-blogger-comment-26481.html. I thought it complicated at first, but it's not too bad. SDB must have posted directions for his link at same time I was posting directions. I saw that a few minutes later and deleted mine. I looked at Eco's link for directions for clickable link and it works. Click on Home above. Thanks Eco!!! I just tried it 3 times, but step #3 is not exactly working for me. I did not have the HTTP stuff when I posted; just the title of the piece, and I tried it to see if it would work before I posted earlier today, and it worked. I still do not know to make my links green, or some other color, as I would like to, but all that is needed to open them is to right click on one when you highlight it first and then open in a new tab or whatever you want, but I do find it frustrating that I can't easily change the color on blogs. I did NOT forget the http stuff; it just wasn't showing from where I was reading the article. Thanks for the help anyway. 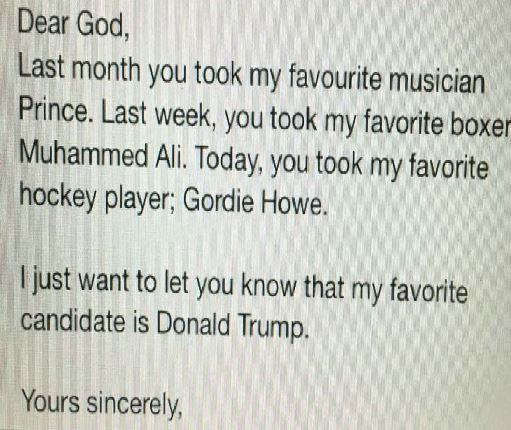 OPEN LETTER TO GOD HTML coded. Excellent! I am now changing my party affiliation. On the other hand, I doubt Donald Trump is really a racist since he doesn't even own a pair of running shoes. The above has been an HTML free post. Here is FREDERICK DOUGLASS' HISTORIC SPEECH on the significance of the 4th of July for the slave, delivered July 5, 1852.
sdb: For step 3 just substitute the website address for home. It should work. I understood that, but I did not have the website address. It was not available in the form I received the article. That is why I did not have the http. Later, when I tried the fix, I cut and pasted jan's "this" link, but it just gave me another blank Blaine's tab. I don't need my to be this difficult at the moment. I am having major car work to do tomorrow. Ok. I have car work tomorrow too. Yes, but I bet you are not doing it yourself. To use HTML coding, you need to download a text formatting toolbar, then it becomes easy. That looks like the answer. Should I set the default to HTML? I will work on it after I finish with my engine repair tomorrow. Thanks. Yes. Set the default to HTML. SDB..I suspected you as the mechanic. Well I'm back, happy to report another ignorant, narcissistic, hegemonic, racist, nationalistic display has now ended here in Seattle, where we all are proud to delude ourselves into thinking we are the good people of the earth. Thank you for that, but even more thanks go to you for using the word, Jingoistic, which I could not bring to mind last night, but wanted to use in my above post. I also loved the last drawing where our patriot is slurping Kirkland vodka. The Kirkland brand which is only found at Costco, I believe, was a nice touch. Up the Rebels! Jingoists unchained? Wait, wasn't that Wild Bill Hickok's sidekick? Your above post is Devine! Pays to be 'andy with words in these parts, old chap. By jingo, a jingoistic jingle! Just a subtle hint to all you connivers for power. Not to worry, HerHillaryness is poised to save us. Why don't they sing, "The bluest skies you've ever seen are in Seattle?" The skies in Seattle make the entire city sing the blues. But that's what gave the world Starbucks. And all this time I thought it was Herman Melville. He gave just one in a book, not one on every block. I will have to agree with you. After all it was nothing more than a story about a bunch of overly sensitive men who couldn't even kill a whale without then carrying on with a shameless display of nonstop blubbering. Careful. I'm pretty sure calling them overly sensitive is one of those micro-aggression deals. I don't mean to harp(o)on current events, but if it weren't a white whale any gang of cops could have taken him down in minutes. And no one will be baleen him out of jail, either. Today's New York Times crossword relates to last week's theme here. The first two answers are indeed quite easy, but the third I have may or may not be correct. Nevertheless, I remain unmoved...a little nervous, but unmoved. Are you sure you just aren't shilly-shallying? I shall not shilly-shally. It's shallow and silly. I didn’t send these in because I had already submitted the first four. > It's hard to find clever clues this week, but there's a way. We selected a single break point. I did SHA and used shabby-swell, sharp-dull, and shaky-still. My wife used SH and used shoo-call, sheen-pall, and short-tall. Neither made the phone ring, however. Shalom evil is the only one no one else has brought forth of my six. If one cannot follow the Puzzlemaster's clear intructions, perhaps he or she should find something else to do on Sunday morning. He plainly told you that there are three (3) solutions. How is it going to make him feel when he receives more than twice that number? He also told you that the dividing POINT (not POINTS) was for you to discover. So some of you pick four (4) of them. Will is going to be very disappointed in you. I think Shack and HALL, and SHack and hALL, and SHAck and haLL are nice violations of the rules. plus a few that were stretches. Neither shallow & full nor shack & hall are antonyms. Thesaurus.com lists FULL as an antonym of SHALLOW. eco implied above that SHort & tALL and SHArp & duLL are the obvious answers. I agree they are obvious, but I don't believe they are Will's intended answer. I took Will at his word when he said "The dividing point is for you to discover." Thus I submitted "SHARP/DULL SHAKY/STILL SHARPIE/NUMSKULL." I figured Will might dismiss SHAN'T/WILL because of the apostrophe; SHALOM/FAREWELL because "Shalom" is both a farewell and greeting; SHARE/STONEWALL because "stonewall's" is so much broader than "not sharing," and SHABBY/SWELL because "swell" is simply side-of-a-barn-broad! I did not get "the call." What did I get this week? A realization that the word "opposites" -- as well as "antonyms" and "synonyms" probably -- are fraught with "wiggle room." I think the heavy-duty puzzle-doers are a bit prone to overanalyze the puzzle statement. Will did say the dividing point (singular) was for [us] to discover, but that was referring to a single answer. The sentence after that is where he states there are three answers. If he had put the dividing point sentence after the three answers sentence I might accept a uniform division. But nowhere does he state the dividing point is the same for all three, and had he intended that I believe he would have stated that explicitly. This is why there are so many #$%@%^#$& lawyers! That there are more than three potential answers should come as no surprise, many times he has broadcast "my intended answer was x, but I also accepted y and z." And sometimes he adds some others that he did not accept. One more thing (as a licensed professional): I have a hard time accepting SHack and hALL as opposites; HOvel and maNOR? That I would HONOR. A plank that moves along the puzzle fulcrum? What was Will (possibly) thinking?! Point well-taken about the order of directions at the end of WS's puzzle text, ecoarchitect. I take umbrage, however, regarding your innuendo that I may be a "heavy-duty puzzle-doer." I like to think of myself as a "dainty-duty puzzle-doer!" What's more, I want all to know that I am not a #$%@%^#$& lawyer! I am a #$%@%^#$& self-proclaimed hack-writer. I was never a licensed professional... But I was a professional who continually abused (and continue to abuse) my literary license. I look forward to hearing Will's intended answer. The clues built into the puzzle segment that I referenced earlier are the fact that Will and Short appear in the apparent answers, alluding to Will Shortz. No, you're not the only one who came up with it. I did too. My reference to watching Querrey at Wimbledon on my big screen was clueing a Sharp TV. My question as to who came up with the puzzle - the master? - was referring to Will Shortz (like Curtis above). STILL. I hope that is the third possibility, but I am unsure about it. eco: I have visited Haddon Hall and Kedleston Hall, both in Derbyshire. I am afraid they really are the opposite of shacks. Twelve score years ago didn't we rebel against that? Wasn't it more than just trying to preserve slavery? "Shortcoming and windfall" has a shortcoming. I don't think so, as I proved it with a thesaurus. Merriam-Webster I believe. That is what WS uses too. I submitted shortage/windfall - is that better? Will Will accept "will"? He shan't. I think he shouldn't, B_D, but I've heard it said that everyone loves the sound of their own name, and I'm beginning to suspect that may be the whole point of his exercise. Being in Will's thesaurus makes them shoo-ins for Sunday's list, then. Shalom poses a unique question as in addition to peace, it means hello and goodbye, forming its own antonym. As a side note, although it fails the antonym requirement, my favorite "fill in" for SHALL is the sign seen in tbe South, "Shalom y'all." We are serving up seven fresh puzzles this week. You should be able to solve most of them before Sunday morning’s “Shortzathon” is broadcast. Just propinquity with puzzle paradise! I agree that shallow and full - as adjectives - are not true opposites. However, I would consider shallow and fill - as verbs - to be opposites. Silt shallows the river. Rain fills the river. You might want to check and see if the dictionary and thesaurus agree with you. I do not believe they will. If they do, please let us know. My wife came up with SHAME and EXTOLL (to praise highly). It took her ten minutes to get all three. The only problem with that is EXTOL is the accepted spelling. What a SHAME. SHort & tALL, SHArp & duLL. SHAke & stiLL (or SHAkey & stiLL or SHAke & queLL) and SHyness & gALL (or SHAme & gaLL). Of course, JUST as I was about to post this, I saw Paul's post! "nothing wrong" --> a "tort" is a "civil wrong" and the quote from the Star Spangled Banner parallels John Lennon's exhortation to Prudence Farrow to "greet the brand new (beautiful) day". Perhaps you did not see my post "way above." According to Urban Dictionary: "a durp is something you say if you dont have anything else to say"
Silence is preferable to durp, yes? And "So. . ." is what many say when changing the subject, eh? Hush, WW, I'm working on an anagram of Baiame/Shangri-la. It'll be great! It'll be huge! Trust me. It's hard to hush, Paul, when you're talking gastropods. The one I alluded to earlier was SHArk and guLL, referring to a con-artist and a conned person, respectively. Am I the only one who got this? I had SHark and thrALL. See above. Next week's challenge, from listener Martin Eiger: Think of a phrase that denotes a particular major-league sports team in 12 letters. The first 6 letters are the same as the second 6 letters rearranged. What team is it? I thought it was "shackle" and "disenthrall."